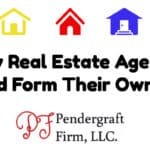 LLCs For Real Estate Investors - The basics, pros, and cons -The Pendergraft Firm, LLC. Introduction – LLCs For Businesses, Generally! In order to understand LLCs for real estate investors we must first understand what an LLC is and why businesses use them. LLC stands for Limited Liability Company. The primary purpose of an LLC is right in the name. To limit liability. Limited liability is the separation of your personal liabilities from your companies liabilities. A principle best illustrated by an examples. Briana starts making and selling hair products. Briana never forms a limited liability company. She has what is called a sole-proprietorship. Briana’s hair product causes a woman’s hair to fall out. In a sole proprietorship, there is no separation between personal and business activity. You essentially are your business The woman sue’s Brianna personally and wins an $100,000.00. judgment. Briana has a house worth $100,000.00. The woman takes Brianna’s house in order to satisfy the judgment. In scenario B, Brianna created a business to sell hair products, Brianna LLC. The woman gets a $100,0000 judgment against Briana’s business, Brianna LLC. Brianna LLC has $10,000.00 worth of assets. Brianna is NOT her business. The bald woman can only touch the $10k inside the LLC. Brianna gets to keep her $100k house that she personally owned. The quintessential LLC for real estate investors is what I like to call the investment property LLC. In an investment property LLC, a business entity is created to hold an investment property. 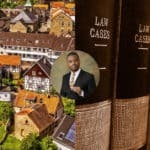 If a tenant slips and falls on the property and sues the Investment Property LLC, then they can only attach their judgment to what is inside of the LLC. It is a common risk mitigation strategy for investors to have multiple single investment property LLCs. The investment property LLC works more like a holding company than a business. The real estate business LLC on the other hands works just like a conventional business. This is a company through which investors conduct their real estate business activity. This could be a real estate investing company, a property management company, a real estate development company and so on. 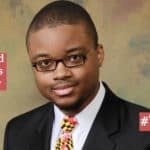 An example of a real estate business is Maryland House Pros. 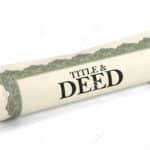 A real estate business LLC is often the owner of an investment property LLC. Multi-Member LLCs can be used by real estate investors for investment properties or for real estate businesses. How the LLC is run will be decided by the businesses operating agreement. There are two primary variations of a multimember LLCs, member-managed and manager-managed. By “strict” definition in a member-managed LLC decisions are made by the members of the LLC. In a manager-managed LLC, a manager is chosen to run the company day to day. However, what this means can be very different for individual LLCs. For example, an operating agreement in a member-managed LLC may give one member as much as 3 times as many votes as another member. Business partners without a business have what is called a general partnership. Like a sole proprietorship, you can be personally liable for your business liabilities, with the added bonus of being held liable for your partner(s) liabilities. An LLC can protect you from your partner(s)’ mistakes. 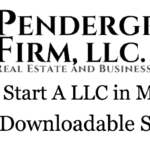 You Look More Official, IE The Pendergraft Firm, LLC. They are not full-proof. In a worse case scenario a creditor can pierce the corporate veil to get to your personal assets anyway. Business home buying loans may be more expensive than personal home buying loans. They cost money to maintain. They have rules to operate by that you should actually do. Most States have miscellaneous additional business taxes. 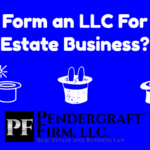 Are You or Your Team Looking To Form LLCs For Real Estate Investors?